You may have heard of the recent activist victory against a major airport construction project that has been a sore spot for 4 consecutive French governments. If not, it was pretty major. The government finally abandoned plans for a new €580m airport in western France but the prime minister, Édouard Philippe (who literally no-one has ever heard of) said hundreds of people squatting on the site in the village of Notre-Dame-Des-Landes have until spring to leave (but we’ll get to that part later). As soon as we heard of this grassroots success, we funded a team of young, guerrilla documentarian activists to go and report from the frontlines what was happening at the ZAD (Zone to Defend or in French, Zone à Défendre, a French neologism used to refer to an occupation or anarchist commune that is intended to physically blockade a development project). 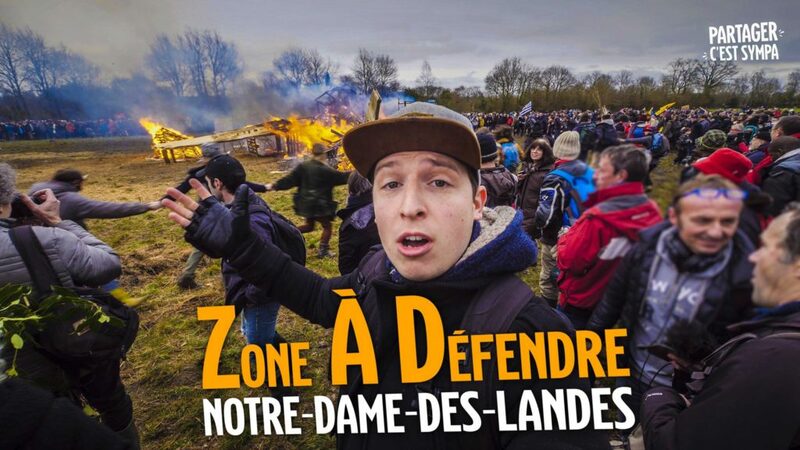 1) Legal Lesson – The fight for Notre Dame des Landes was won thanks to dozens of appeals filed year after year that funneled a massive pile of legal arguments and paperwork which kept delaying the construction of the project while probably driving the construction companies insane. 3) Numbers Lesson – Be like Beyoncé and draw a crowd! 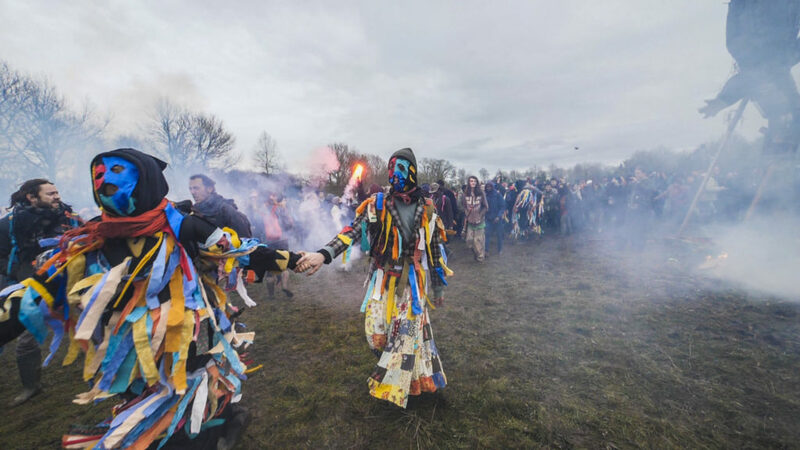 This whole resistance affair started with a protest picnic in a field, so we can now gage just how far it has come since they have succeeded in gathering thousands of people to defend the ZAD while still keeping things light, friendly and high-spirited. 4) Occupation Lesson – The area you seek to defend, cannot be empty, instead it needs to be kept as alive as possible. There always need to be plenty of people, bodies that are keen to react and take direct action. The ZAD is made of 60 campsites which host over 300 people a year, people young and old, without whom the zone would probably already have been evacuated and the airport long built. Genevieve said “that’s saying something when you’re not living your quiet, little life and going out to fight from time to time. It’s by shaping your life that you shape and reinforce the fight” – Yas Genevieve! 5) Political Lesson – The fifth and final lesson of this and most activist struggles is political action, the need to take the fight from the fields and bring it to the heart of institutions at the national level. This outcome ‘is the fruit of constant organising and mobilising and not a gift from our elected officials’ said one of the activists. 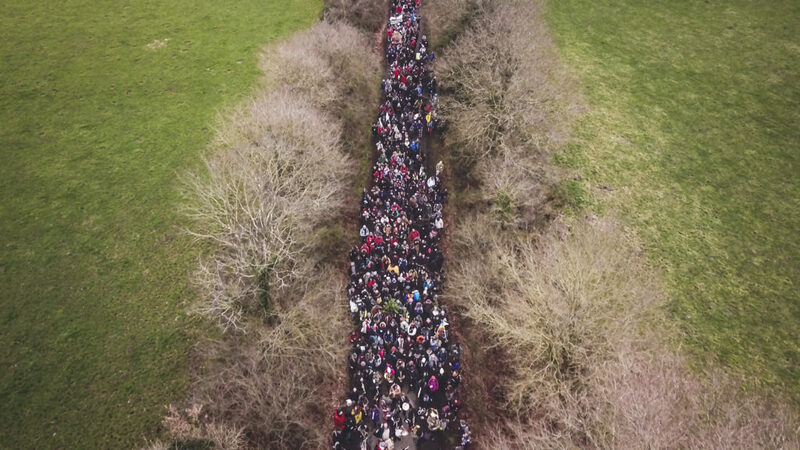 Indeed the victory of Notre Dame des Landes is the victory of the collective of these thousands of people that had little in common but that succeeded in putting their tools and means of action in synchrony so as to secure this victory. Our head documentarian Vincent said ‘I look around I see people who are so different, old farmers, young activists, architects, biologists, lawyers who all came together to defend the ZAD and became ZAD activists from the moment they started to defend a common space, an illegal but legitimate laboratory‘. So, is the job done? On the contrary, it’s really here that it all starts, because the state wants all the people living (for years & some for decades) in Notre-Dame-des-Landes to clear out by spring, as they are technically squatting there. Today there is a boulangerie producing bread from wheat and grain grown in the ZAD, a brewery, a pirate radio station, an online newspaper, a weekly vegetable market, and several herds of cows, goats and sheep producing milk and meat. Produce is shared or sold for whatever buyers can afford. So the people are there to stay. Dominique, a ‘resistant’ who has been living on site since 1983 said ‘we actually haven’t won the struggle yet, it is only beginning, because it’s easy to get together when we have a common struggle but it’s much harder to build something. Now we absolutely have be productive and have to stand united to build a brighter future and show that it is possible that we can shape our own destinies’. Vincent also reminds us that this ZAD ‘is not heaven on earth, it is precarious life hardened by struggle, made of bits of string and puddles of mud’. But he finds something inherently beautiful and inspiring in that 300 determined individuals backed by thousands of others succeeded in overturning the decision of four consecutive governments and one giant multinational, and so do we, in fact it’s one of the main reasons that we do what we do. There are still lots of other ZADs all across France (and the world) that are threatened by hostile, corporate projects, and they make up these illegal yet legitimate laboratories, places of experimentation on how to live differently. You can find the list of all these different French ZADs right here, and if you feel the spirit of activist adventure move you, you know where to go to rub shoulders with brave people fighting to turn all of of those places into victories. 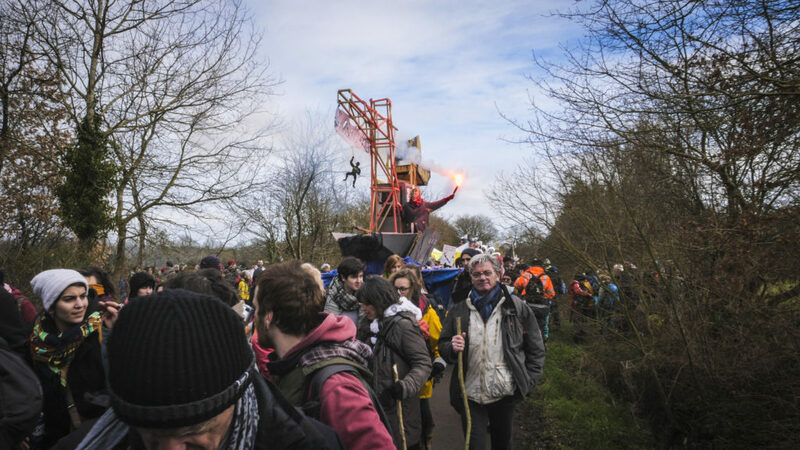 Inspired by another ZAD ‘resistant’ I offer you this parting aim; that we may be able to draw connections between other struggles such as the struggle at Bure against nuclear waste, which are all cut from the same cloth. May we learn from each other and organise better, and in greater solidarity across borders against regimes that discount activists as a minor, insignificant grievance and consistently plan on executing corporate projects without the support of the people most affected by them. To find our more about Partager C’est Sympa and our guerrilla grant click here.